Multi-Platinum Recording Artist Nick Lachey Releases "A Father's Lullaby" Album With Fisher-Price® | Mattel Inc.
EAST AURORA, N.Y., Feb. 26, 2013 /PRNewswire/ -- Parents and their children will soon be soothed by the voice of multi-platinum recording artist and new father, Nick Lachey, who is set to release his first-ever lullaby album, "A Father's Lullaby," this March in partnership with Fisher-Price, Inc., a subsidiary of Mattel, and Mood Entertainment. Lachey and wife, Vanessa, welcomed their son Camden in Sept. 2012 and have been reveling in parenthood ever since. "When I first learned that I was going to be a father, I was inspired to create a special tribute to my son," said Lachey. "Music has always been an incredibly significant part of my life and a meaningful way in which I express myself. Creating this album allowed me to further connect with Camden while also sharing the experience with families who are on a similar journey of welcoming a new life into their world." The album will feature twelve heartfelt songs, four of which are original tracks Lachey co-wrote including "Father's Lullaby," "Once Upon a Time," "Sleepy Eyes" and "Another Day Is Done." Additional hand-picked titles Lachey covers on the album include "All Through the Night," "Baby Mine," "You Are My Sunshine," "All the Pretty Little Horses," "When You Wish Upon A Star," "Godspeed (Sweet Dreams)," "Hush, Little Baby" and "Brahms' Lullaby." 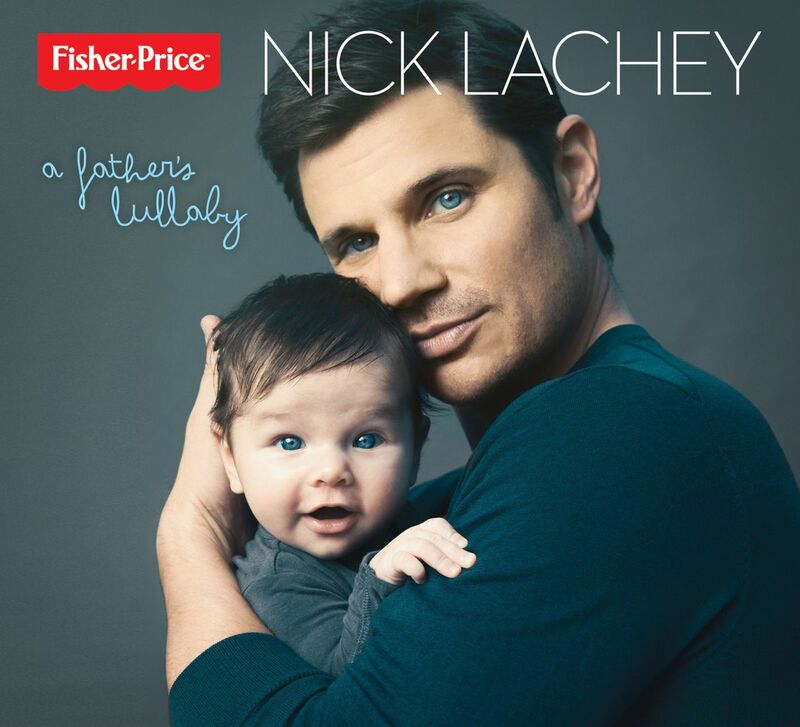 Standout originals on the album include the title song "Father's Lullaby," written as a loving tribute to both Lachey's father John and to his son Camden, representing the passing of love from generation to generation. "Another Day Is Done" highlights how many memories and life lessons happen every day and the importance of embracing each moment. "Sleepy Eyes" is a song that Lachey hummed to Camden while he was still in the womb. In addition, two of the most personally meaningful cover tracks include "You Are My Sunshine," a tune Lachey's late grandfather sang to him as a child, and "Godspeed (Sweet Dreams)," a song whose lyrics help one truly understand the wonderment of parenthood. "A Father's Lullaby" will be available for download on iTunes and Amazon.com on March 13th, 2013 and will roll out to major national retailers including Toys"R"Us, Target and Walmart in April 2013. Nick Lachey, a multi-platinum recording artist, actor and television personality first rose to stardom as the front-man of the popular band 98 Degrees, selling over 10 million albums worldwide and charting several top-forty hits. In 2003, Lachey launched an enormously successful solo career for which his second record What's Left of Me, went to number two on the Billboard Top 200 Albums chart. Outside of the studio, Lachey has been a prominent television personality having hosted several major national network programs and specials including three seasons of NBC's highly-rated show "The Sing Off," "High School Musical: Get In the Picture," and "Clash of the Choirs." Lachey has also starred on popular television series including CBS's hit show "Hawaii Five-O," CW's "One Tree Hill," "Charmed" and ABC's "Hope & Faith." Recently, Lachey was named as the host of NBC's new musical game show "The Winner Is" slated to premiere later this year. In January 2013, Lachey reunited with 98 Degrees to announce a North America tour with New Kids on the Block and Grammy award-winning group Boyz II Men slated to launch on May 28th. In February, 98 Degrees announced that they will release their 5th studio album "2.0" on May 7th. For additional information, please visit www.nicklachey.com or visit Nick on Twitter at #NickSLachey. Fisher-Price, Inc., a subsidiary of Mattel, Inc. (NASDAQ: MAT) located in East Aurora, N.Y., is the leading brand of infant and preschool toys in the world. The company's legacy of high quality toys has enhanced early childhood development for more than 82 years. Some of the Company's best-known "classic" brands include Little People®, Power Wheels® and Imaginext®. Fisher-Price is also a leading developer of baby gear products (infant swings, bouncers, high chairs), as well as a wide array of character-based toys inspired by high quality children's programming such as Dora the Explorer™, Mickey Mouse Clubhouse and Thomas & Friends®. The Company's website, www.fisher-price.com, as well as its Facebook page, www.facebook.com/fisherprice provide valuable information and resources to parents and grandparents around the world. Mood Entertainment (formerly Somerset Entertainment) is a leading producer and distributor of specialty music. The company's distribution network encompasses more than 28,000 interactive displays in 18,500 high-traffic retail locations in more than 20 countries. For more information about Mood Entertainment, visit www.moodentertainment.com. For more information about the Fisher-Price™ Music Series, and to explore the full catalogue of albums, visit www.fisher-pricemusic.com.